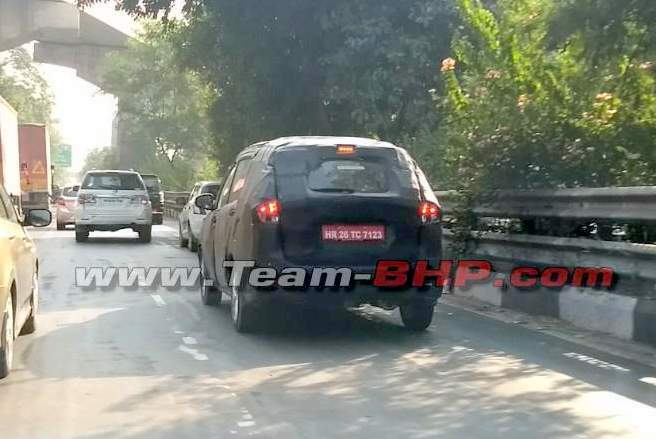 Seen on this page is the latest set of new 2018 Maruti Suzuki Ertiga spy images. The new model Ertiga is based on the latest generation Swift. The new generation of the company’s hot-selling small MPV will launch soon after the new Swift goes on sale here. There are very good chances that the new Ertiga will be put on a show at the fast-approaching Auto Expo 2018. The 2018 Ertiga will have larger dimensions, modern looks, more features, and updated engines. It will also get the company’s upcoming 1.5-litre Diesel engine, but only sometime after its launch. Prices might get slightly higher, but, well, it’s a bit too early to speculate. Underpinning the new 2018 Maruti Suzuki Ertiga is the same lightweight HEARTECT platform that also underpins the new Dzire, new Swift, and the Baleno. The new-age platform will lead to considerable weight savings and hence, enhanced performance and mileage. Initially, the new Ertiga 2018 is expected to go on sale with updated versions of the current 1.4-litre Petrol and 1.3-litre Diesel engines. The new model Maruti Ertiga MPV will first launch in Indonesia, which is a huge market for MPVs. Subsequently, the new vehicle will also launch in India. The company has been rather tight-lipped on its plans for bringing the next-generation Ertiga to India. As you can see in the spy images we have here, the test mules seen here wear a heavy camouflage. 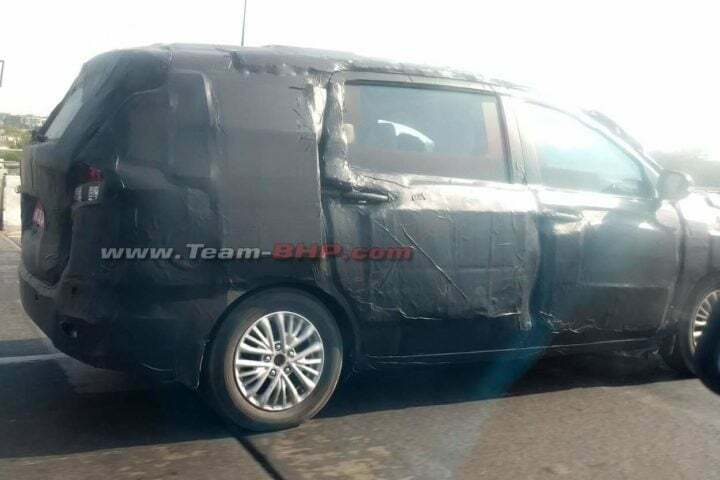 Hence, the new MPV is definitely some time away from its market launch. The new MPV will first launch in Indonesia, where MPVs enjoy a huge demand. Subsequently, it will even launch in India, which will probably happen in mid-2018. The company is likely to bring the 2018 Ertiga to the Auto Expo 2018. Currently, the Ertiga is available in a price bracket of Rs 6.03 lakh to Rs 8.49 lakh. There are very good chances that the 2018 model would come to us with a considerably higher price tag. However, the new car will make up for the increase in price through a more modern platform, more features and a more practical cabin. Prices of the next generation model are likely to start at roughly Rs 6.75 lakh and go all the way to Rs 11 lakh. The latest batch of spy images shows a heavily camouflaged test mule that is definitely bigger in dimensions than the current MPV. While it’s really very tough to make out any sort of design detail, it does look like the new model would have a larger greenhouse and would look slightly bulkier. Also, the black-painted multi-spoke alloy wheels might not make it to the production-spec model. Currently, the Ertiga is available with two engine options – 1.4-litre petrol and 1.3L MJD Diesel with SHVS mini Hybrid technology. The new 2018 Maruti Suzuki Ertiga will offer both petrol and Diesel engine options. The petrol engine on offer will be the same 1.4-litre K-series engine that is available currently. The Diesel engine, however, will be the much awaited 1.5-litre turbo motor that Suzuki has been developing. Currently, the Ertiga MPV offers the Fiat-sourced 1.3-litre Multijet Diesel engine. Also, don’t be too surprised to see Maruti offering the powerful yet efficient 1.0 Boosterjet engine on select trims of the Ertiga 2018. This turbocharged petrol motor is available only with the Baleno RS at the moment. Transmission options should include 5-speed Manual and AMT units for both Petrol and Diesel models. Thanks to Suzuki’s new HEARTECT platform, the 2018 Ertiga will be considerably lighter than the current model. The petrol variant will most likely offer a claimed mileage of 20 kmpl. The Diesel will likely offer around 25 kmpl. This will make the new Ertiga more frugal than the current model. 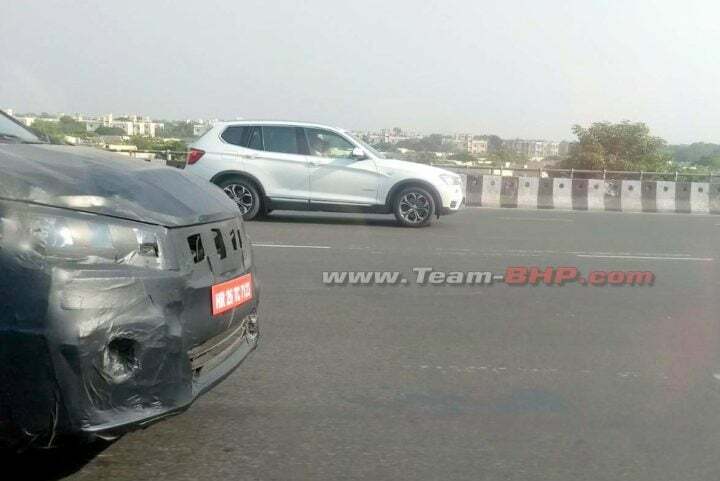 Stat tuned to Carblogindia for more 2018 Maruti Suzuki Ertiga spy images and news updates.